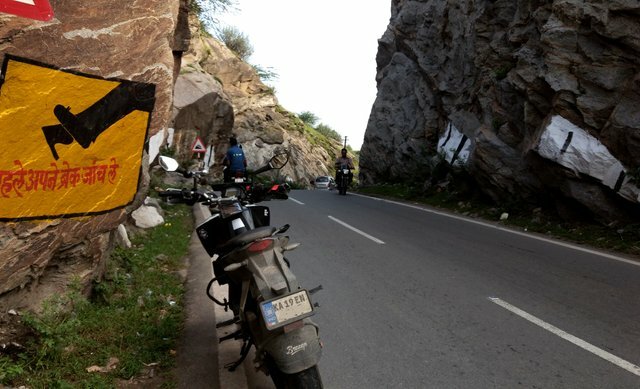 Continuation of Ride De India 2017: A 43 Days, 11,000 Kilometers Motorcycle Tour around India. 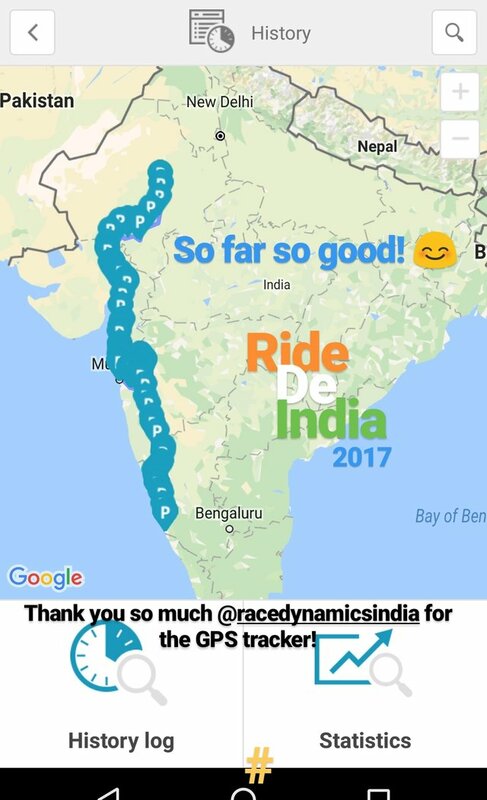 It's been almost a year that I haven't posted any updates after Day 8 of Ride De India 2017. I don't exactly remember the reason why I lost the flow of posting about this tour but I will continue this from today in parallel with other posts. We decided to have brunch and started hunting for a good restaurant. After passing by 3 restaurants, we found a really good one. 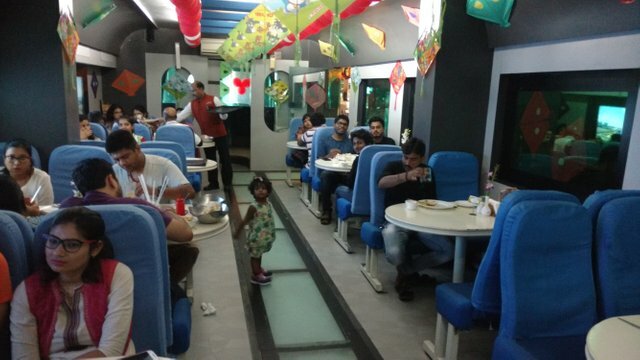 It's called Rasoi - The Train Restaurant and as the name suggests, it is styled like a train. 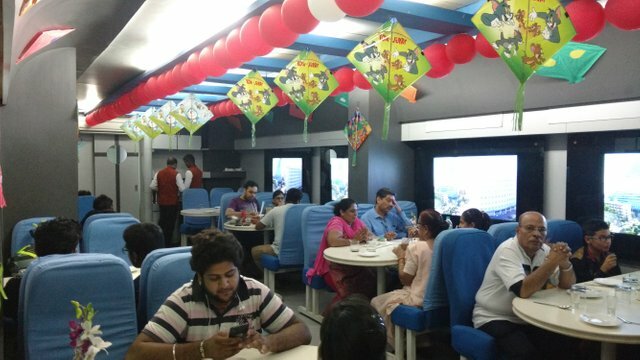 Once you enter, you see that even the interiors, the seat, and everything else is set up in such a way to give you a feel of traveling by train. The window areas of the restaurant has TVs which displays the view you get looking through a moving train in Japan. You are welcomed with a complimentary drink as soon as you get a table. 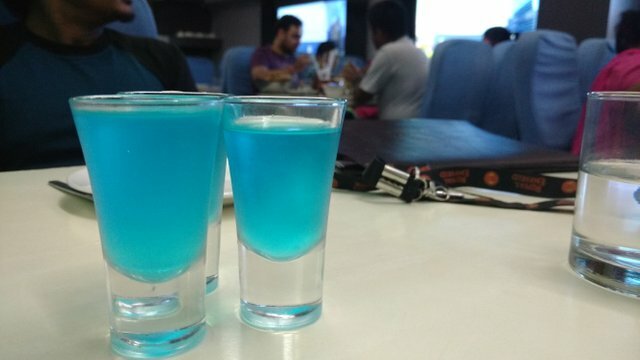 I think it was a lemon drink with a bit of added flavour. It felt really good to quench our thirst with it after walking in the hot sunny weather in search of this restaurant. Coming to the main part of any restaurant, the food. We asked them to get us whatever was the specialty of that restaurant. While waiting for the food to arrive at our tables, we got busy clicking some selfies. After a short wait, the food arrived. When I took a bite, what I experienced was a feeling beyond heaven. 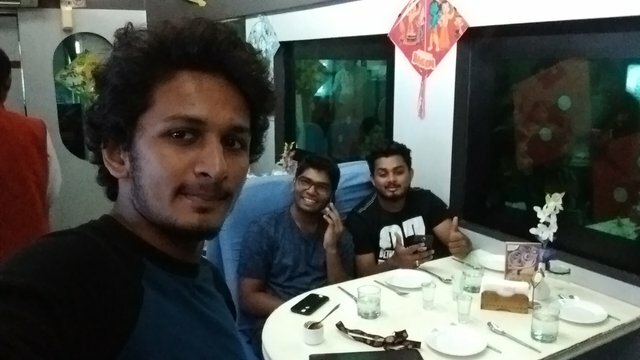 It was undoubtedly the tastiest food that we had had thoughout our journey and all the three of us agreed on that. 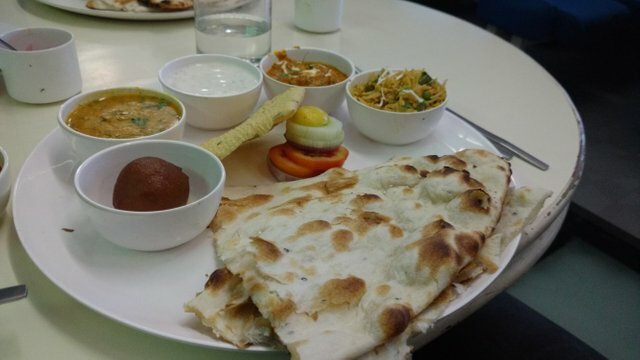 There was Roti (Indian Bread), three types of tasty, spicy and buttery Side Dishes, Chaach (Butter Milk), Gulab Jamun (Sweet), Pappad, sliced vegetables, Pulao and also Rice if I remember correctly. 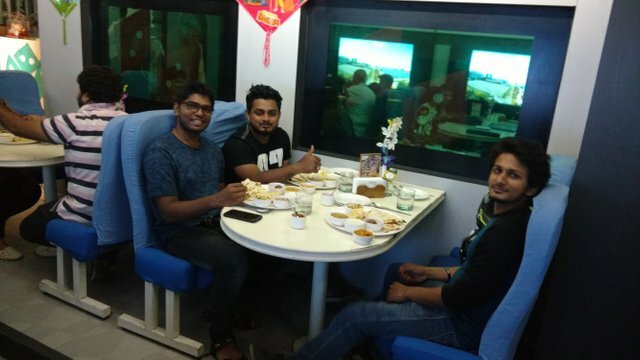 We started hogging immediately and gave our camera to one of the waiters to click photographs. The waiter sure had a lot of patience to click from multiple angles. Nice chap! There was another photo from the opposite side as well but that came out blurry hence not uploaded. If you are visiting Ajmer, we would definitely recommend you lunch/dine here at Rasoi for one of the best gastronomic experiences. After a hearty meal, we came back to the room. When your belly is full and it is afternoon, even a messy room starts looking clean and inviting. Well, that's what happened. We came back and dozed off. 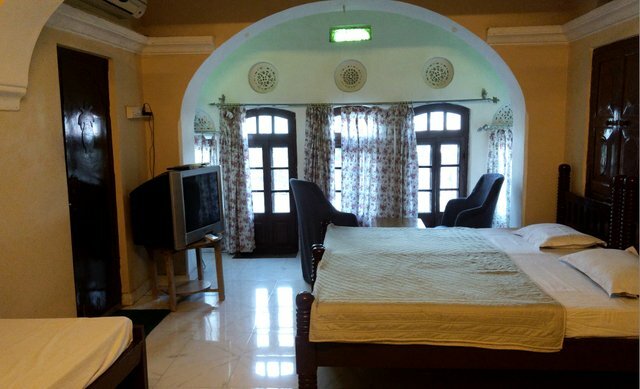 In case you are wondering, this is Nataraj Guest House: one of the best and pocket friendly stays in Ajmer. 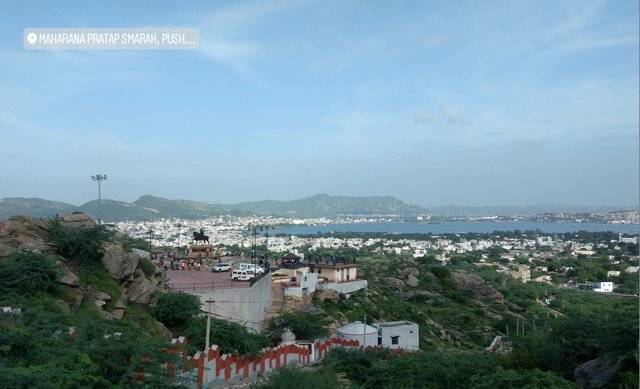 I have stayed here twice during my travels and recommend this to anybody traveling to Ajmer. The owner as well as the person handling this place is very friendly and helpful. They guided us to the must visit places there and guess what? The owner is an Off-Road enthusiast. 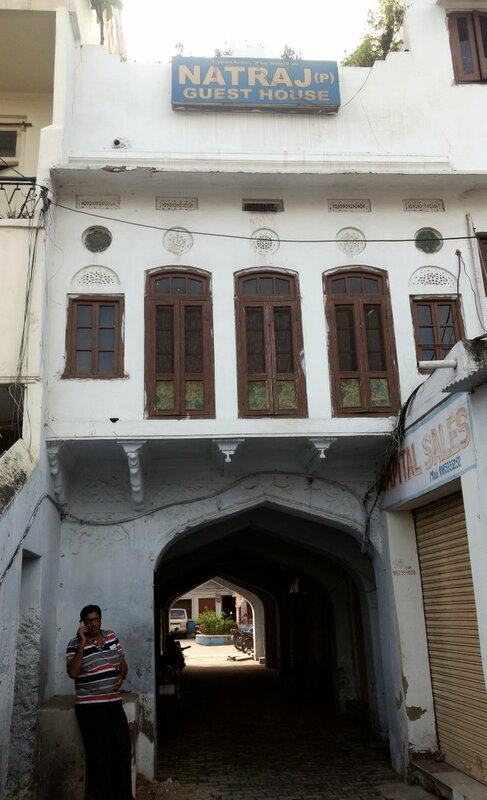 The building is one of the oldest buildings of Ajmer converted into a guest house. 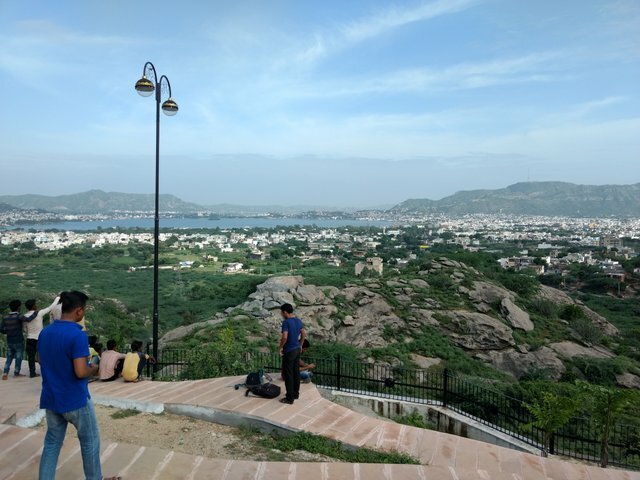 After a small power nap, we were fully charged up and ready to explore Ajmer. 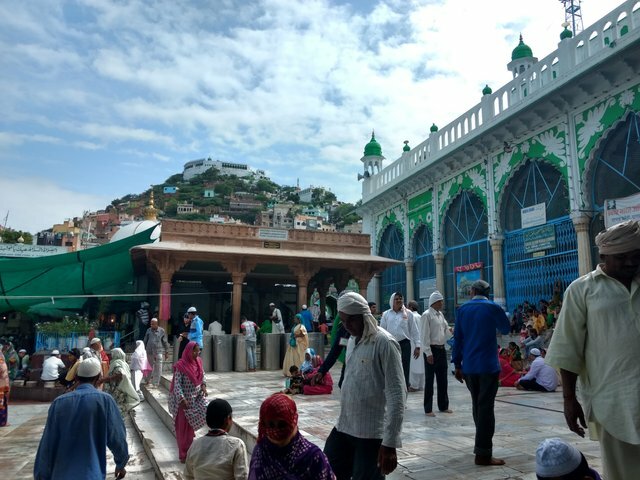 Around 2:30 pm we headed out in Rajasthani style to visit the Ajmer Sharif Dargah. 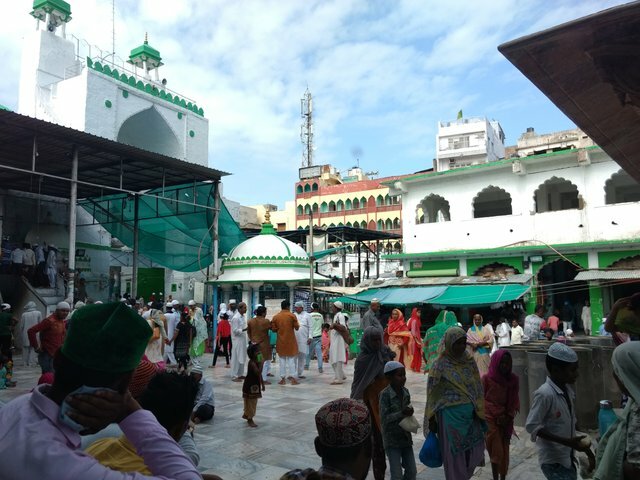 It was very jam packed when we visited. 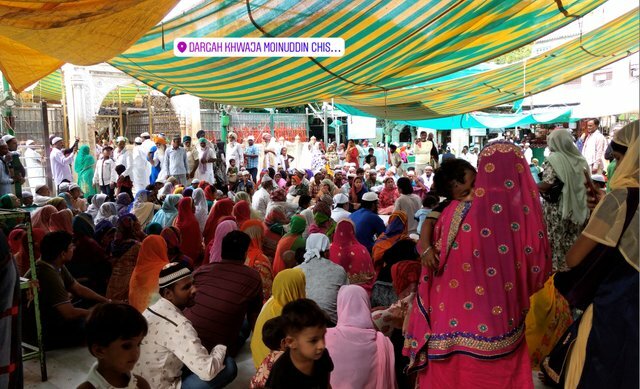 All the crowd was gathered where the Qawwali was going on. We really enjoyed listening to the Sufi Qawwali. 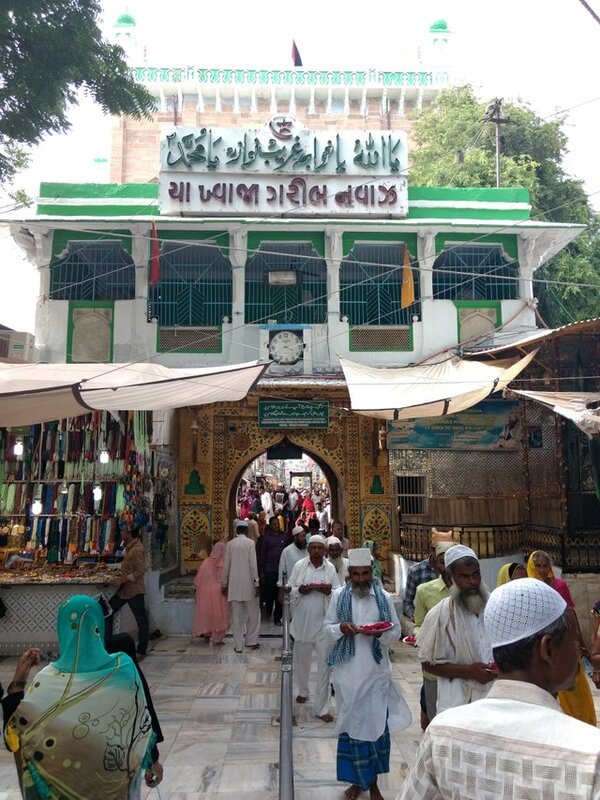 It is a combination of Sufi music and Poetry. I will post the video of Qawwali along with the whole tour video soon. Keep watching this space. 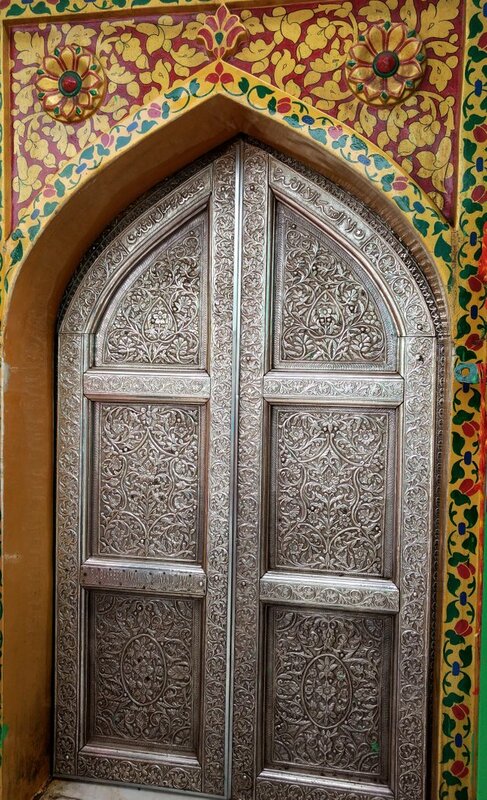 Have a look at this beautiful artistic door made of silver. Other than that part, I really loved the place. 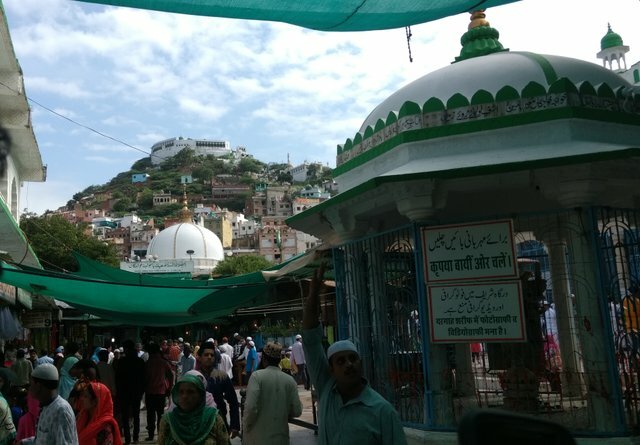 Ajmer has made it to my list of favorite cities. The vibration of the place is so positive. I had visited there once when I was in a low mood. Being there for sometime seemed to uplift my mood immediately. That peaceful hilly area in the backdrop though. 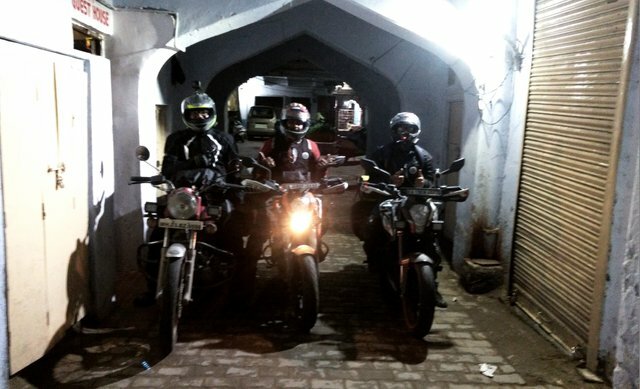 And then we left the Durgah, went back to our guest house to pick up our bikes to head towards Pushkar. On the way to Pushkar, we took a pitstop at Maharana Pratap Smarak. 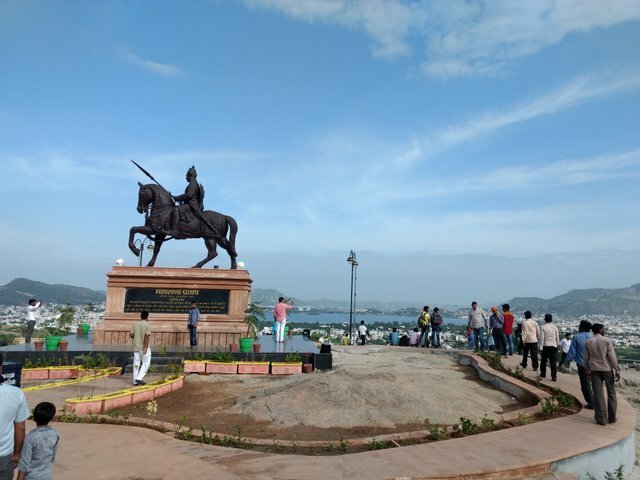 There was this statue of Maharana Pratap mounted on his horse on a hilltop. The view from there was nothing short of breathtaking. Now you know why I like this place so much. Not just this but this place offers so much more! On the way to Pushkar. 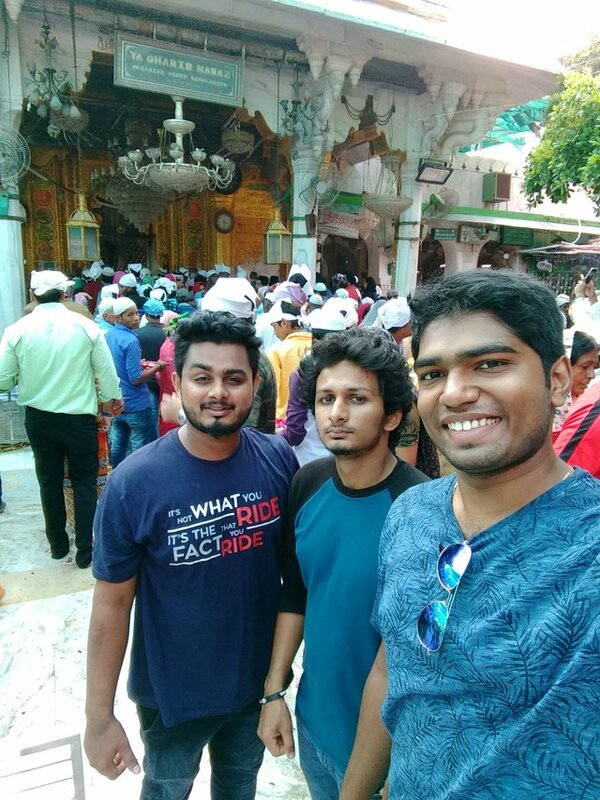 We visited the very famous Brahma Temple in Pushkar. 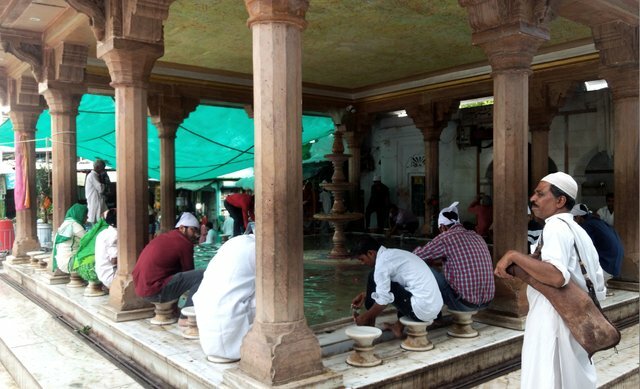 It is a Hindu Temple situated close to Pushkar Lake. It is one of the few temples dedicated to God Brahma the Creator. 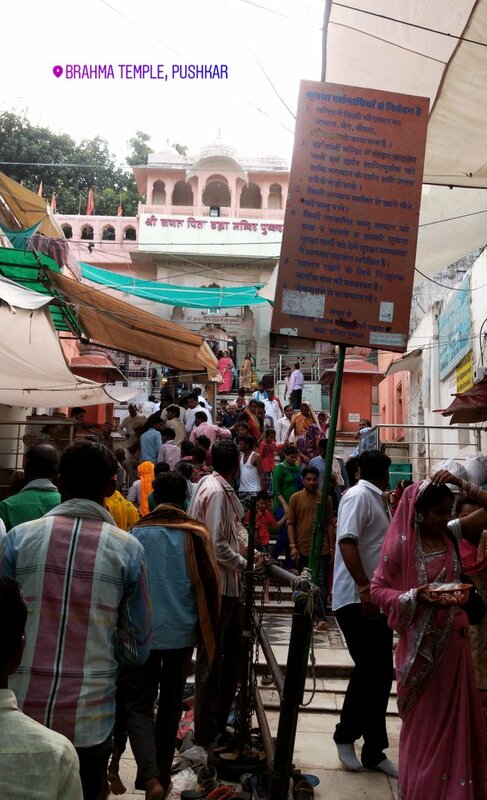 The crowd was too much and we wanted to explore more of Pushkar. We were also planning to do a camel ride in the desert. 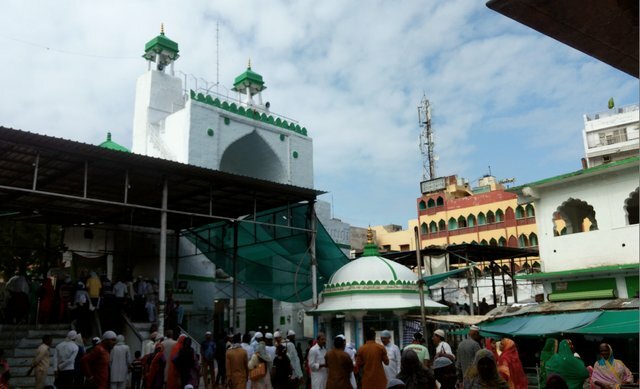 Hence, we prayed from the outside and left towards the market area. There were some really cool Rajasthani art works, decoration pieces and a lot of other accessories. Denzil and Manu purchased handmade mobile bag, purse, comb, hair stick. 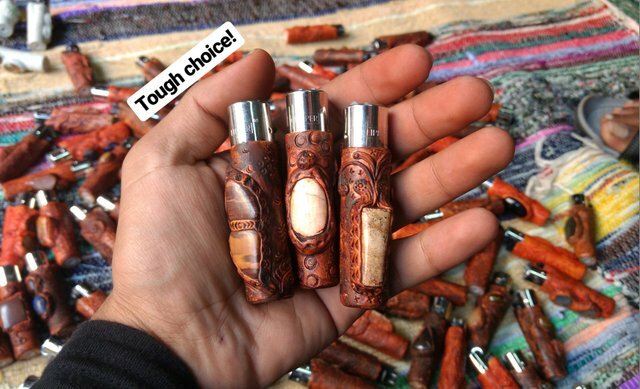 All of us purchased a cool handmade custom lighter. 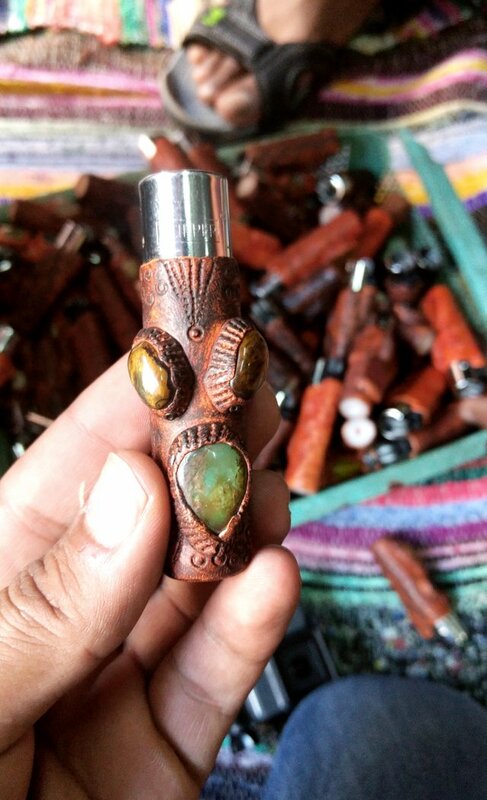 Look at this alien looking lighter made of some colored stones. I also purchased a handy foldable pocket knife for travel and outdoor purposes. Since these are handmade locally, you will find them in Ajmer for 1/3rd of the prices you would find it elsewhere. I didn't click a picture of it though. 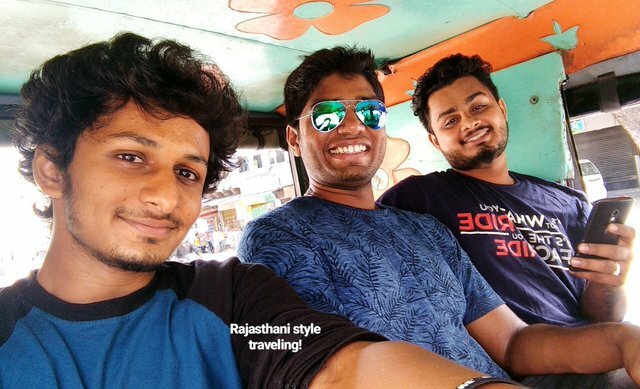 After some shopping we went looking for Camel rides but since it was too late by then, we weren't able to find any and we decided to head back to our guest house in Ajmer City. 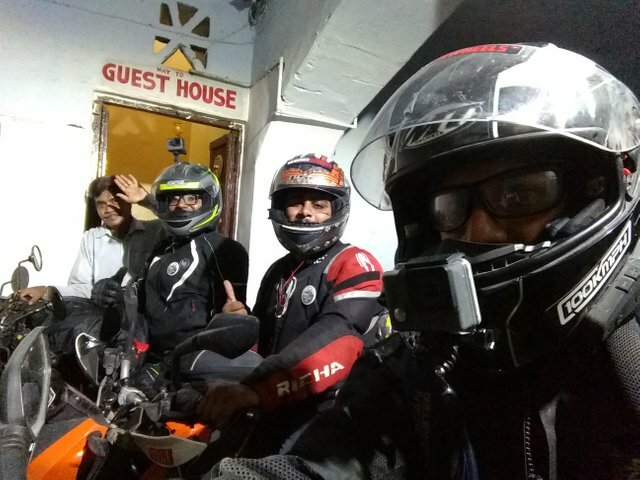 It was around 8:30 pm when we collected our luggage, mounted them on our bikes and started off towards Jaipur. Jaipur was only 3 hours away so we decided to not waste any time and reach Jaipur on that day itself. Here's a selfie with the caretaker of our guest house. He came to see us off. We booked our rooms in Jaipur while we stopped enroute Jaipur for dinner. It was 12 am when we reached our hotel in Jaipur. 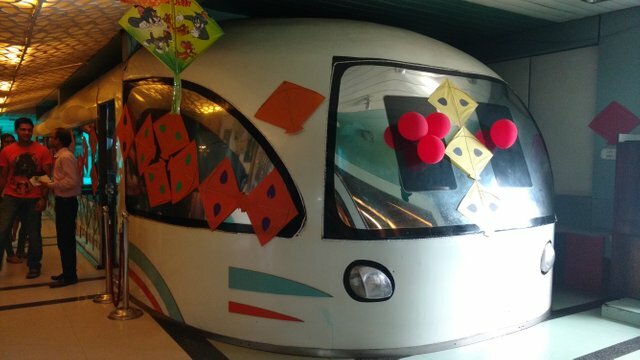 We stayed at Hotel Apple 9 in Malviya Nagar. It was a decent budget hotel and the owner was quite friendly. He was awake late until night waiting for us and made sure that we got hot water and all the necessities after a tiring ride. All of us got fresh and dozed off to get some energy for exploring Jaipur the next day. So, this was the status of the ride so far. We had this GPS tracking device on my bike by Race Dynamics India that would keep live tracking our location and keep our family members and loved ones informed every second on their smartphones. I'm really thankful to Race Dynamics India for providing us the device and ensuring our safety during the ride. 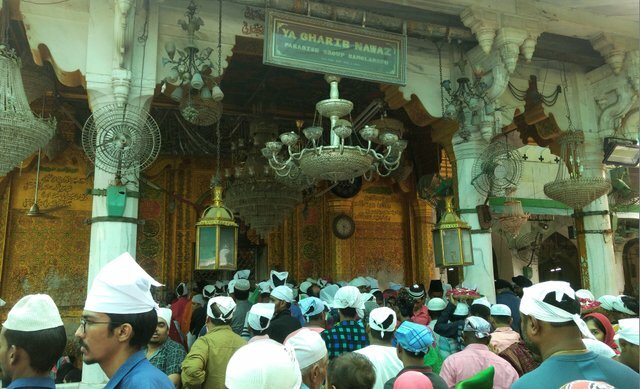 If you liked my travelogue, please support by giving it an upvote or a resteem. @ocdb is a non-profit bidbot for whitelisted Steemians, current max bid is 50 SBD and the equivalent amount in STEEM. This is a great post. I am glad you have decided to continue sharing your journey. I am looking forward to going back through the beginning of your trip and seeing all of the posts to come. Thanks for sharing. I will keep updating whenever I find time.